Machine learning and big data in the healthcare field has tremendous potential. Not only is this new technology improving diagnosis and treatment options, it also has the potential to help empower individuals to take control of their own health. Some of the most exciting advances in healthcare today are coming about with the help of machine learning, AI, and advanced analytics. Advances in diagnostics, predictive healthcare, personalised medicine, and AI interfaces to help patients access healthcare all come down to the application of machine learning. One team of doctors used advanced machine learning to analyse search queries online and discovered that they could identify people with pancreatic cancer — even before they received a diagnosis. The study focused on search queries that indicated someone had been diagnosed with pancreatic cancer, and then worked backwards to see if earlier queries could predict the diagnosis. While the study did not result in a practical application yet, there is the possibility that in the future, systems could be set up to warn a user to go get tested if search queries suggest a particular disease — especially one in which early detection is vital. A Brazilian hospital, Estadual Getúlio Vargas, has only 22 ICU beds for a nearly unending stream of the city’s poorest of the poor. The hospital is using analytics insights to shorten length of stays for ICU patients to just over three days and reduce mortality rates for them by 21 percent. This means that the hospital can free up beds more quickly and serve nearly two more patients per ICU bed each month, improving efficiency and outcomes. Another hospital in São João is using a program called HVITAL, combining advanced analytics and machine learning to predict (and potentially prevent) up to 30 percent of ICU admissions, as much as seven days in advance. 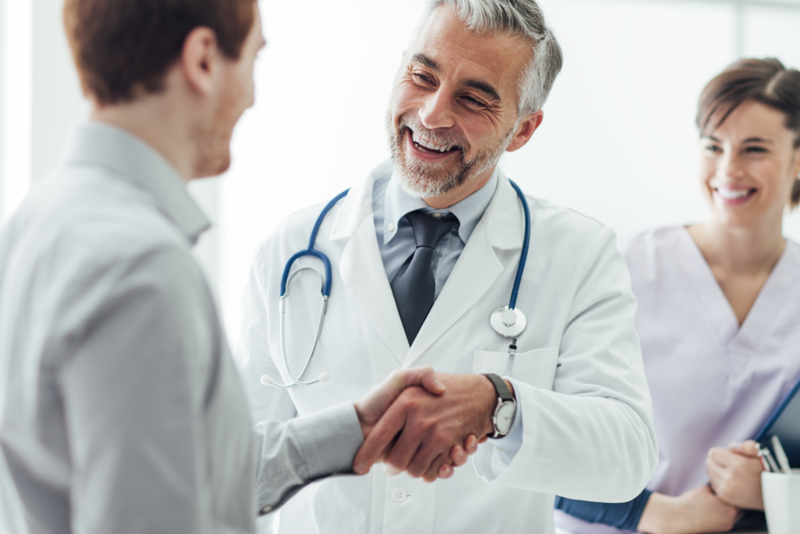 One problem doctors face, especially with cancer patients looking at long treatment protocols, is keeping patients motivated and proactive during recovery. A new app called RehApp Coach has recently been developed to help solve that problem. The bot offers a conversational approach through machine learning and AI to engage patients during their rehab and hopefully keep them more motivated to continue. Another important advancement is being made in matching children in the foster care system with the best potential foster families. The ECAP system (which stands for Every Child A Priority) uses a sophisticated matching algorithm to predict the best match between a child and a foster family, reducing the number of moves a child has to make and improving the potential for permanent placement. I include this under the healthcare banner, because the system has to adhere to the strict privacy regulations involved with health and other personal records. It’s saved the government agencies millions of dollars, but more importantly, improved outcomes for the most vulnerable children in their care. Other companies are using machine learning to help predict and expose fraudulent healthcare claims, which costs providers millions of dollars a year and drives up the cost of healthcare for everyone. A company called KenSci was able to use machine learning to immediately identify more than a million dollars in fraudulent claims in a single dataset that had already been analysed and reviewed by 20 human claims specialists. These are just a few of the most exciting advances I’ve seen reported recently using machine learning in the healthcare field, but I’d love to hear of other examples if you’re familiar with any. Please share them in the comments below.